For those who follow the NPSL West-South Division you know the bad blood between the San Diego Flash and FC Hasental. The San Diego Flash finished the 2013 season in second place behind FC Hasental. During the 2011/2012 seasons the San Diego Flash won the NPSL West-South Division in front of FC Hasental. I talked with San Diego Flash Goal Keeper James Stroud and asked him how he believed the game would be played. Stroud told me that this was going to be one of the best games of the season and the game would be very physical. The starting minutes of the match was very physical earning Nelson Pizarro a yellow card. Pizarro’s yellow card came from a slide tackle “inside of the box.” From my vantage point (about five feet away) Pizarro should not have been awarded the yellow card. The slide tackle was 50/50 straddling the line going out-of-bounds. It did not help that Pizarro began to yell at the refs and tell them how bad the officiating was. The penalty kick (in our highlight video) by FC Hasental was missed wide right. Now we had a feeling that this game was going to be extremely physical. The San Diego Flash had been the superior team offensively though out the first half of the game. Most of the match was played on the FC Hasental side of the field. The San Diego Flash found themselves leading the game 3-0 at halftime. 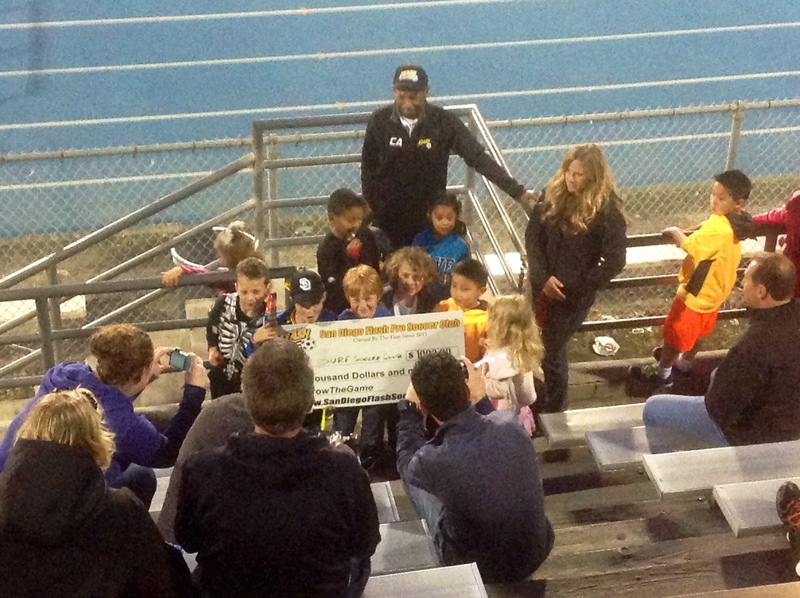 The San Diego Flash donated a $1,000 check to San Diego Surf Youth Soccer Team for brining the most athletes out to the game. This could be your youth team next week as the San Diego Flash will donate $1,000 to a youth soccer team at every home game this season. San Diego Flash Presenting the San Diego Surf with a $1,000 check. Those three goals scored in the first half by the San Diego Flash equalled the Flash’s 2013 season goal total against FC Hasental. The Flash looked to be tiring out early on in the second half relying on the skills of the starting goal keeper (#21) Aaron Perez to keep the game close. The game would get even more physical as two more yellow cards would be handed out during the second half. One yellow card called against both teams FC Hasental (Faisal Abduijawad) and San Diego Flash (Andy Ortega). From listening into the opinions of others in the press box the officials just ate the whistle in the second half. Multiple players from both teams went down and extra time had to be added. Even the FC Hasental Coach was yelling at the officiating crew. One of the Flash fans whom I assume had his family at the game decided to yell, “hey coach no need to use drop the F Bomb this is a family environment.” The San Diego Flash would catch fire as they would score two more goals during the final 20 minutes of the game. The San Diego Flash would get the games first goal in the 18th minute by Nick Hamilton. 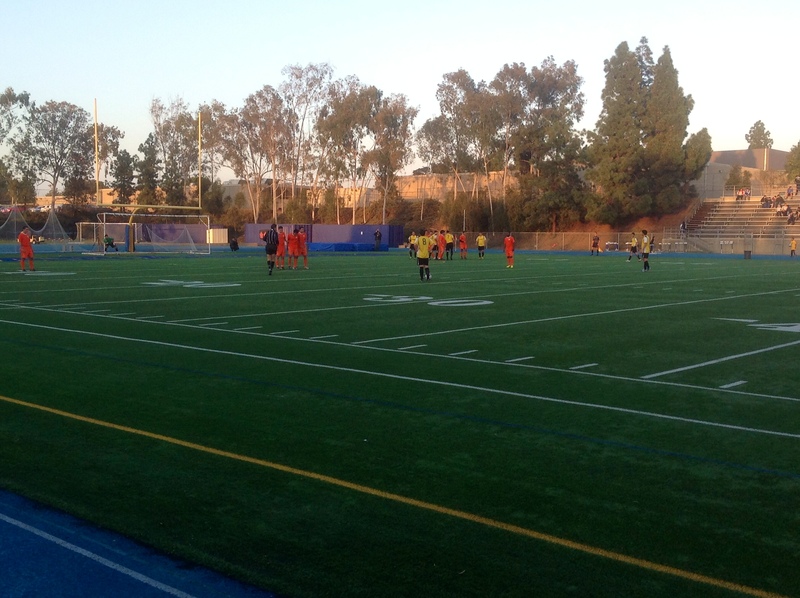 The San Diego Flash would get the games second goal in the 29th minute by Nathan Medina. The San Diego Flash would get the games third goal in the 43rd minute by Justin Picou. The San Diego Flash would get the games fourth goal in the 76th minute by Joe Shah. 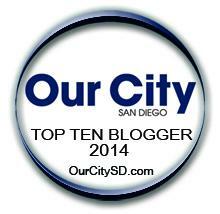 The San Diego Flash would get the games fifth goal in the 85th minute by Brandon Zuniga.